The Swiss Army 3 1/4 in. Cadet contains some of our most popular implements but is not overwhelming in size or cost. 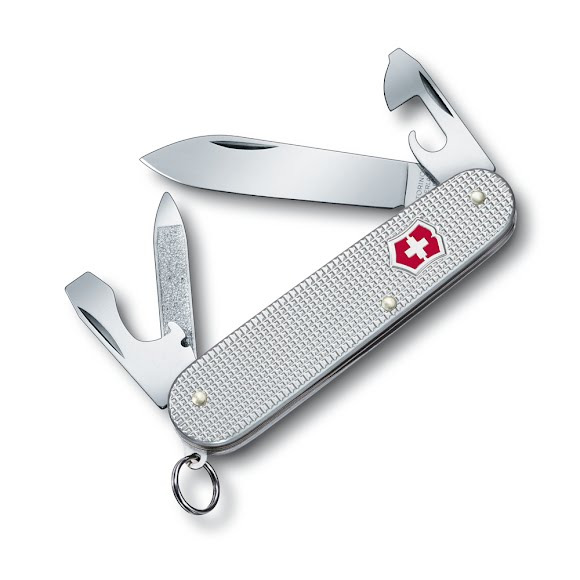 The stainless steel implements carry a Lifetime warranty against defects in materials and workmanship, truly making Swiss Army Knives Your Companion for Life. Engraving panel on back.